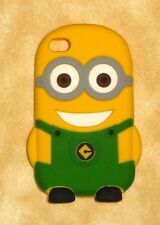 Green Minion Apple iPhone Case. Help protect your iPhone from dust & scratches with this cute case. Will fit iPhone 4/4s. Gray Minion Apple iPhone Case. Help protect your iPhone from dust & scratches with this cute case. Will fit iPhone 4/4s. 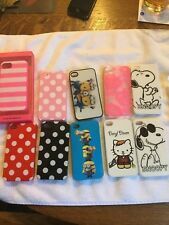 SE E AL L IT EM S WE H AV E.
Lot of 10 iPhone 4 4S Phone cases. See photos for full details Also comes with pack of stylus pens. Fits Cell Phone: iPhone 4S series. This is a great item, perfect for you or a gift. 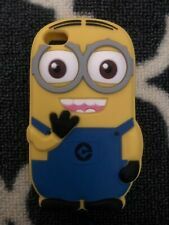 New 3D Cartoon Minions Single Eye Soft Silicone Case Cover for iPhone 4 4S . Condition is New. Shipped with USPS First Class Package. 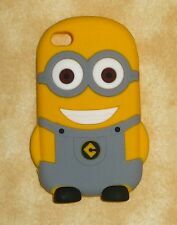 This is a new Minions pink Iphone 4s case made by U-Studios. Car Phone Holder New Style Universal Lazy Sports Desk Bed Flexible Bracket Mount. Sprint iPhone XR Case Full Body Protection Shockproof Back Covers Shells Pink. Sprint Sports Case Pink Running Scratch-Resistant Armband Cover For iPhone 5.